Jonas is on journey of personal discovery and Peek is the dolphin that will bring that adventure to and exciting culmination. Dolphin Mimicry, a novel, is about an adventure between a man and a dolphin. Jonas is on a journey of personal discovery, and Peek is the dolphin that will bring that adventure to an exciting culmination. This adventure takes place off the skeleton coast of Namibia in the exciting waters of the south Atlantic Ocean. 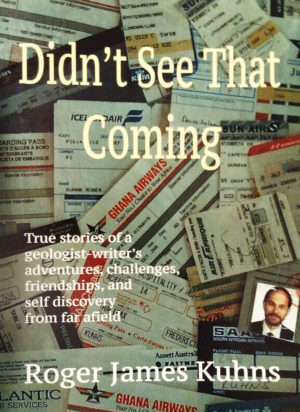 The author wrote the story while working at sea as an exploration geologist, and as he watched dolphins, whales, sharks and people in the marine environment. The novel is one for all ages, and will bring a personal perspective of dolphin behavior in a world overlapping with human activities. “Dolphin Mimicry” was inspired by bedtime stories Roger would tell his children after returning from travels working at sea in the South Atlantic. Jonas and Peek are characters who will stay with you long after you turn the final page. 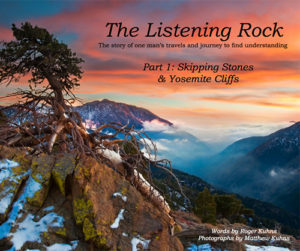 This book is a unique blend of fantasy, adventure, and education. 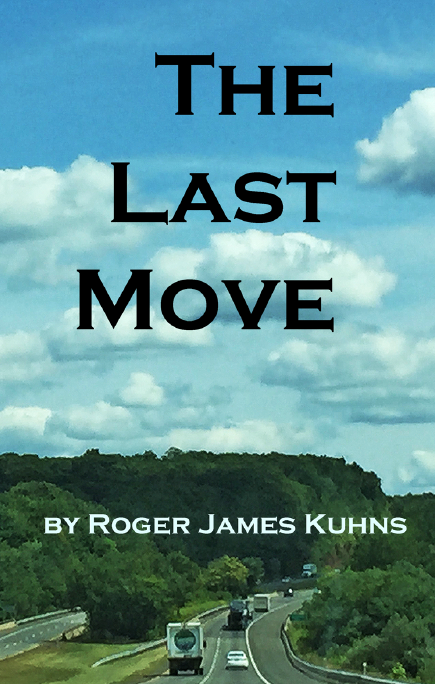 Roger has a talent for varying his technical descriptions of an oil rig off the coast of Namibia with insightful observations and a powerful underlying message for sustainability and compassion. 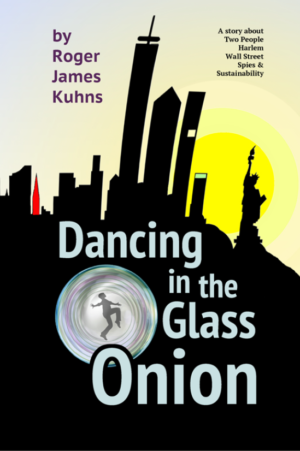 Jonas is an endearing character you can cheer on, and Peek’s wise commentary on the world, though it often contrasts with the way we humans view the environment, is a refreshing new view. The bittersweet ending made me wish the book was longer…or maybe a sequel in the works? I cracked the cover and found myself in the middle of an ocean, headed for a very large adventure! …Last night I wasn’t sure I could stay awake long enough to finish it. However, I was so caught up in that huge High Sea Storm, my heart was actually racing… In the early hours of this morning, I finished your exciting-wonderfully-fantastically-real Novel, about Jonas & Peek. What a bed time story! To put it mildly, I loved it. 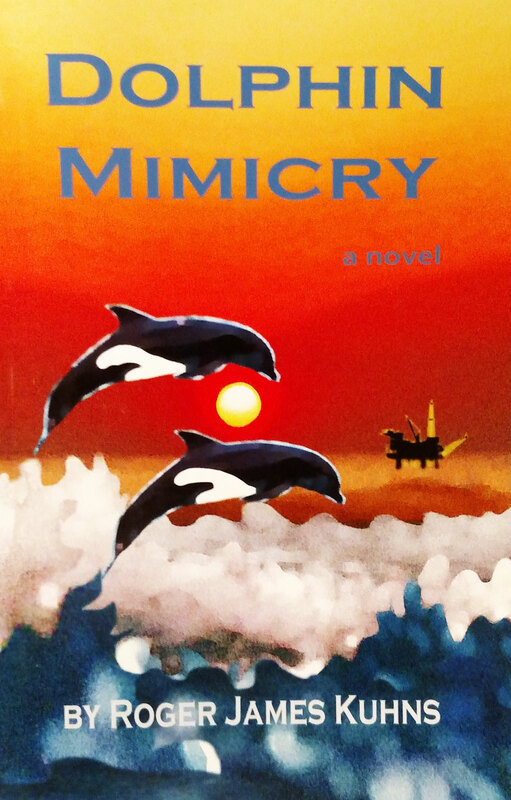 Dolphin Mimicry brings to light these problems in a subtle and clever way, this book is well written, intelligent, intriguing, and it brings the reader on a journey of discovery, friendship, heartbreak, and the many wonders of the creatures of the waters.